We have had a user complaining that his Outlook signature changes weren’t sticking after he edit the signatures. The issue seems to be only for this user and no one else seem to report this issue within the environment. What the support guys used to do is to perform a profile reset every time the user complaints and that will get the user back on track until the next time his profile breaks again. The customer had a Citrix XenDesktop 7.0 site that comprises hosted shared desktop and applications running on Windows Server 2012 servers.Outlook 2013 is the mail client. Citrix UPM version is 5.0 with server VDA version 7.0. All these servers are created by Machine Creation Services. What I noticed was that the server with the user’s profile loaded showed the profile as Roaming where all the other profiles are shown as local profiles. That was strange to me. I wouldn’t call it profile corruption as there is no such thing called corrupted profiles but they can break sometimes which results in settings not retained partially or completely. That’s for another discussion altogether for some other day. 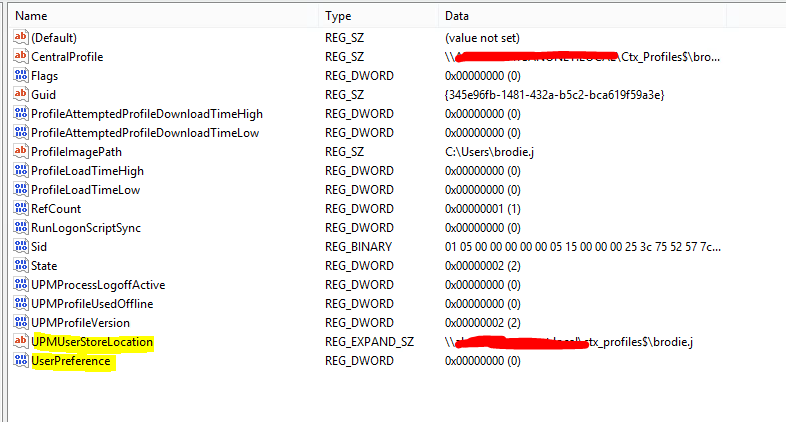 I had a look at the profile share and he seem to have all the correct settings in the Citrix UPM ini file. Looking further in the registry, the broken profile no longer has the UPM store path as shown below and the profile will also have a V2 folder created under the UPM store. 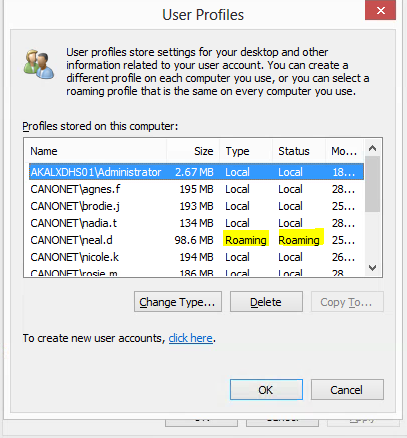 And every time a profile loses its UPM settings, the username.domainname.V2 folder gets created under the UPM user store and that is nothing but the Microsoft Roaming Profile. Deleting the V2 folder will result the folder to appear right back once the affected user log back in again. Fix – I am not 100% sure of the cause of the profile corruption ( I know, i used the word profile corruption again :)) yet as it could be anything from a badly behaving application to an app that gets stopped in the middle from writing data to the profile but the fix is to follow the below steps. You might need to perform all or some of the steps outlined below depending on the case may be. Get the user to log back in and user will be able to sync all the profile changes back to their Citrix UPM stores. As a final step, I would enforce the GPO that manages the UPM store in the Group Policy console so that the settings are forcefully applied to the servers. I still haven’t found out what is causing this profile inconsistency and that’s where I ideally like to be. I will just have to get ProcMon to do its magic when I have a little more spare time on this. After I made the above change, there wasn’t a single case of broken profiles. It was UPM logs that initially gave me some clues on what’s was going wrong when Mozilla profiles were processed…… the above will also help to fix the issue with retaining Mozilla bookmarks and other settings. There you have it…. Hope this helps someone out there..